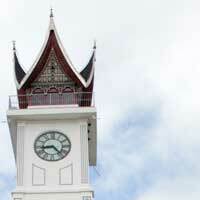 Padang is the capital of West Sumatera Province. 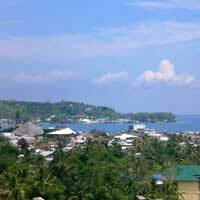 This city is located on the western coast of Sumatra roughly in the middle of this huge island and the city is surrounded by many hills. Its citizens are mostly from the Minangkabau tribe who have a unique culture as can be seen from the building architecture and language. Padang is also known well for its food, especially the Padang Food which you can find everywhere in Indonesia. In 2009 an earthquake destroyed large parts of Padang, but since then Padang has been restored and ready for your visit. In Indonesian Dictionary, the word "œPadang" means a wide land or field, a suitable name for this topographic condition of Padang surrounded by hills. 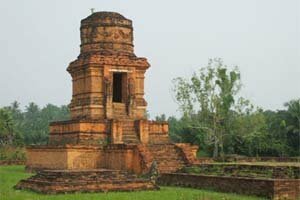 Padang was part of a kingdom led by Adityawarman but then it was only a fishermen village known as Kampung Batung. In the 15th and 16th century, Padang had been visited by many merchants heading to Aceh. In the end of the 16th century, Aceh Kingdom started to collapse replaced by the Dutch VOC. When Padang became under the Dutch rule the VOC saw the strategic location of Padang. 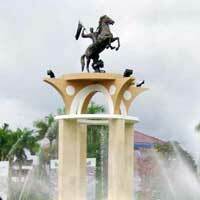 That was the starting point of Padang becoming a fort and trading city. But the Padang people felt that Netherlands were only colonizing them. After many battles and uprisings the people of Padang succesfully expelled the Dutch out of their land in August 7th 1669. This date is seen as the anniversary of Padang until now. 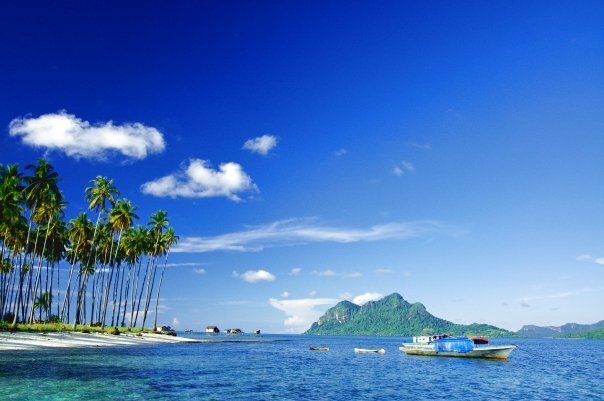 As Padang is a coastal city you will find many beaches here like Air Manis beach. At this beach there's a large stone shaped like a man kneeling. This stone is believed to be the rebellious Malin Kundang. Due to its western orientation you will have a beautiful sunsets at the beaches. 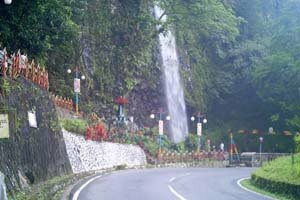 Go also to Anai Valley to feel the typical mountain atmosphere of Padang. Have you ever heard of Songket fabric? It's a traditional fabric made in Padang known for its beauty. If you're in Padang don't forget to buy some original songket fabrics. You can buy various kinds of handicraft in Ateh Market. If you are in for a challenge and have some climbing experience you can try to climb the hill in Siti Nurbaya Park, also known as Gunung Padang Park. 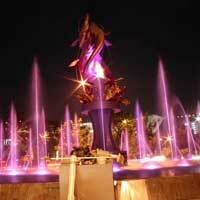 Come also at Siti Nurbaya Bridge just to enjoy Padang at night while hanging out with friends. 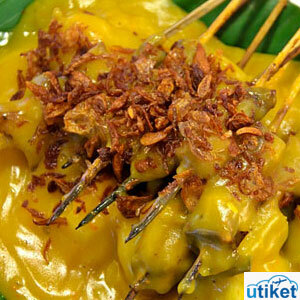 Padang is famous for its many kinds of foods which have become hugely popular inside Indonesia as well as outside. One of them is Beef Rendang, some believe the most delicious food in the world. Rendang is made of beef cooked for a long time with thick coconut milk and various spices, making this food deliciously salty and spicy. Need place to stay in Padang?